Twenty years ago, when Linus Torvalds first announced his new operating system project to a Usenet discussion group, he had no way of knowing that his creation would one day conquer the world. "Just a hobby, [it] won't be big and professional," Torvalds wrote on Aug. 25, 1991. In a follow-up post, he added, "Simply, I'd say that porting [the OS to a different CPU] is impossible." Torvalds had begun the project as a fun way to teach himself about the Intel 80386 processor and nothing more. His greatest ambition was merely to see it work. It has done far better than that. Today, Linux -- as Torvalds's OS came to be called -- is available for just about every modern processor architecture and many archaic ones. It can power every kind of computing device, from PCs, netbooks, and smartphones to mainframes, supercomputing clusters, and beyond. Linux is definitely "big and professional," having won the support of industry heavyweights such as Dell, IBM, HP, Novell, and Oracle. Red Hat, one of the first commercial Linux vendors, is now an S&P 500 company with a market capitalization of $7.3 billion. The last 20 years haven't always been easy. 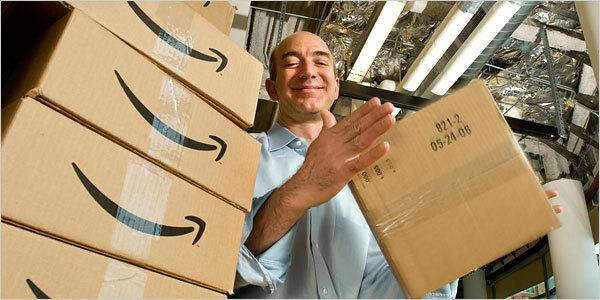 Linux has made a few enemies, Microsoft foremost among them. It has faced its share of challenges, too, both technical and legal, and there are more hurdles ahead. Nonetheless, as Linux enters its third decade, its opportunities have never been greater. Computing is changing, and Linux is not only benefiting from this change but is enabling it. Thanks to a shift beyond the PC, Linux is poised to become more than just an OS, but one of the most transformative forces in computing history -- and it's happening right under everyone's nose. That Linux is helping usher in a new computing age might come as a surprise to some. Linux has often been accused of following, rather than leading. Since 2003, the SCO Group has alleged that the open source OS violates intellectual property relating to Unix, and it's true that much of Linux's early market share came at the expense of costly commercial Unix variants, such as AIX, HP-UX, Solaris, and Tru64. Similarly, Microsoft has repeatedly claimed that Linux violates over 200 patents. Linux has been innovative from its inception, however, in important ways. First, while the commercial Unix flavors ran on high-end systems based on RISC processors, Torvalds designed his OS for commodity Intel hardware, anticipating the trend toward low-cost x86 servers. Second, and even more crucial, while Microsoft was famously slow to adapt to the Internet, Linux has had the Internet at its core from the very beginning. Summary: Firefox for Android will be familiar to those using Firefox on the desktop. 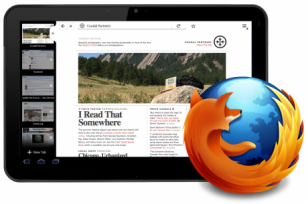 The Mozilla Mobile team has unveiled some of the user interface design decisions that it made in developing a version of Firefox for tablets. Mozilla UI designer Ian Barlow takes us on a tour of the UI. First there’s theming, making Firefox look at home on Android 3.0 while retaining the familiar look, feel and visual elements of Firefox on the desktop. Notice the forward/back buttons, bookmarks button and reload button … look familiar? Next up - the Awesomebar. 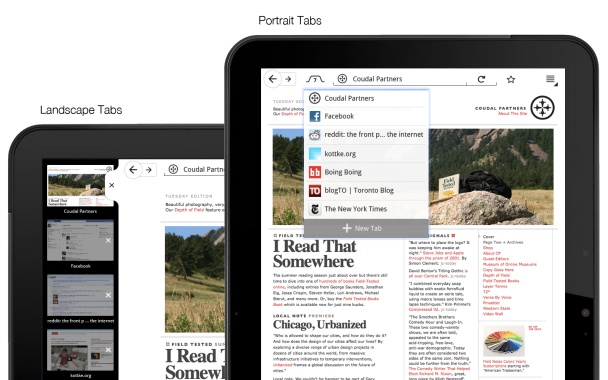 Love it or hate it, the Awesomebar is a core feature of the modern Firefox, and Firefox on the tablet will feature this one-stop-shop for bookmarks and history items. Finally, tabs. Mozilla is adopting two techniques here, depending on when the the tablet is held in landscape or portrait orientation. In landscape mode the tabs will be persistent in the left-hand bar )I hope this can be switched for left-paws - I’m not a left-paw, but I still think about those who are!) and hidden under a single tab icon when in portrait mode. So, Mozilla has a beta of Firefox for Android handsets out already, and a tablet version is in the pipe. Le département américain de la Justice s'oppose au projet d'acquisition du numéro quatre de la téléphonie mobile aux Etats-Unis par le numéro deux. Les obstacles à l'achat de T-Mobile USA par AT&T pour 39 milliards de dollars s'annonçaient colossaux. Et ils se concrétisent aujourd'hui : le département américain de la Justice s'oppose au projet d'acquisition du numéro quatre de la téléphonie mobile aux Etats-Unis par le numéro deux. Le gouvernement estime que l'opération pourrait « réduire de façon substantielle la concurrence » sur le marché du mobile. Annoncée en mars, l'opération était loin de faire l'unanimité. Les concurrents voient d'un mauvais oeil l'émergence d'un puissant numéro un, totalisant entre 39 % et 43 % de part de marché aux Etats-Unis, loin devant les 31 % de Verizon Wireless. La classe politique américaine s'émeut des conséquences sur l'emploi. Et les associations de consommateurs craignent l'impact d'un groupe dominant sur la diversité des offres. L'annonce du veto du gouvernement américain a immédiatement fait chuter le titre AT&T en Bourse : l'action perdait environ 5 % peu après les déclarations. Mais cette position ferme ne signe cependant pas la mort de la transaction. La Federal Communications Commission (FCC) a indiqué aujourd'hui qu'elle poursuivait l'étude du dossier, tout en reconnaissant qu'il « suscite de sérieuses préoccupations concernant son impact sur la concurrence ». AT&T devrait être très motivé pour plaider sa cause : le groupe s'est engagé à verser une indemnité de rupture de 3 milliards de dollars au bénéfice de Deutsche Telekom, la maison-mère de T-Mobile, en cas d'échec de l'opération. Summary: Are PCs losing ground to handheld devices? Is the PC on the way out? VMware’s CEO Paul Maritz believes so. What we’re seeing in the cloud era is not just hundreds of millions but billions of new users and devices now coming into play. Three years ago over 95 percent of the devices connected to the Internet were personal computers. Three years from now that number will probably be less than 20 percent. More than 80 percent of the devices connected to the Internet will not be Windows-based personal computers. HTML5 promises to be very, very important, because it could be a genuinely capable cross-device way of writing applications. Personally, I think that the reports of the PC’s demise have been greatly exaggerated. Mobile devices are increasing in popularity, and web traffic from them as a result is increasing, but I don’t see this having much of an effect on the overall PC ecosystem for some time to come. Is the PC (and by extension, Microsoft) in trouble, or will the overall growth in the market for devices mean that PCs will still outnumber mobile devices? Summary: Java creator James Gosling has left Google for startup Liquid Robotics after only five months on the job. Back in March, Google was only too pleased to announced that open source icon James Gosling, who created Java, had joined their ranks less than a year after leaving Sun. But it was to be short-lived, as Gosling announced yesterday that he’s left the Googleplex to work for startup Liquid Robotics as chief software architect. I’ve surprised myself and made another career change. I had a great time at Google, met lots of interesting people, but I met some folks outside doing something completely outrageous, and after much anguish decided to leave Google. For its part, Liquid Robotics designs autonomous vehicles - called “Wave Gliders” - that cruise the ocean at one or two knots, trawling for data that then gets uploaded to the cloud by way of WiMAX, GSM, and satellite uplinks. Each unit can stay out for years at a time, and Gosling says one has been out on the water for 2.5 years now. I’m their new chief software architect. I’ll be involved in both the onboard software - sensing, navigation and autonomy - and in the datacenter, dealing with the in-rush of data. The current systems work well, but they have a variety of issues that I look forward to working on. This is going to be a lot of fun. The company has Wave Rider deployments already in places like Gulf of Mexico, with Liquid Robotics’ research data being used by the National Ocean and Atmospheric Administration (NOAA) and various other oceanographic facilities. Back in June, Liquid Robotics closed a $22 million round of financing. In short, it sounds about as solid as a Silicon Valley startup can get. When Gosling originally joined Google, many took it to mean that the search giant had a trump card in its ongoing Java patent battles against Oracle. But after only about five months, it looks like Gosling has left that legal minefield behind for something entirely new for him. 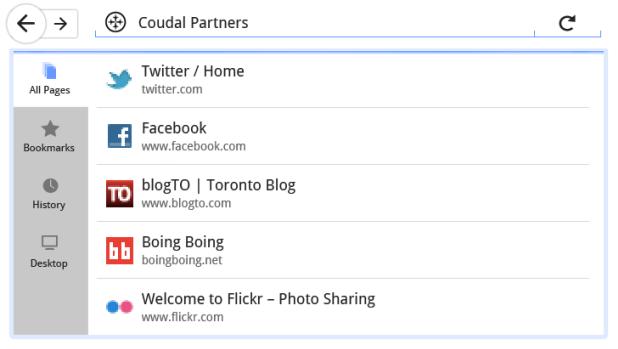 Le consultant et blogueur Jean-François Ruiz a réuni autour de lui une quinzaine de contributeurs rencontrés via les réseaux sociaux pour l'aider à réaliser un guide pratique des usages de ces nouveaux outils à titre professionnel. Comme le reconnaît rapidement l'auteur, si Facebook a changé la donne par son ampleur dans le grand public, ce site est loin d'être, historiquement, le premier outil social en ligne. De même, l'usage professionnel de celui-ci reste limité. Le Salon IFA ouvre ses portes vendredi dans la capitale allemande. Pour les différents groupes qui ne sont pas parvenus à s'insérer sur le marché de la mobilité, l'enjeu est de se replacer dans la course via l'innovation. La high-tech fait sa rentrée après un été particulièrement chargé. C'est vendredi que s'ouvre officiellement, à Berlin, la 51 e édition de l'IFA, le 2 e plus grand Salon du secteur après le Consumer Electronics Show (CES) de Las Vegas. Une grand-messe incontournable pour les acteurs du secteur, qui se déroule dans un contexte particulier. L'été aura en effet été le théâtre de plusieurs bouleversements majeurs : le rachat du fabricant de téléphones Motorola par Google, la cession programmée de la branche PC d'Hewlett-Packard, l'annonce du prochain départ de Steve Jobs de la direction d'Apple dans la foulée de résultats historiques... « L'explosion de la mobilité avec le développement des ‘‘smartphones'' et des tablettes, et la généralisation d'Internet, ont chamboulé l'industrie au cours des dernières années. Le résultat, c'est qu'on a d'un côté des gagnants, comme Apple, qui affichent des taux de croissance impressionnants, mais aussi de l'autre différents perdants. Les différents acteurs essaient donc de se repositionner dans la chaîne de valeur, quitte à opter pour des décisions radicales », indique Ariane Bucaille, associée du cabinet Deloitte. Nokia et RIM en pleine restructuration, Sony et Acer qui affichent des pertes record... Nombre de groupes risquent de s'enfoncer durablement. Plus largement, les acteurs doivent miser sur l'innovation. Et c'est là que le bât blesse. Les nouveautés phares de ces dernières années dans l'électronique sont surtout venues d'Apple - dont l'iPhone et l'iPad ont créé à eux seuls les marchés des « smartphones » et des tablettes -ou de Google - avec Android. Les acteurs traditionnels de l'électronique n'ont quant à eux sorti que peu de nouveautés à succès. Résultat : leurs marchés historiques sont à la peine. Au 2 e trimestre, les ventes de PC au niveau mondial n'ont augmenté que de 2,3 %. De même, les ventes de téléviseurs sont passées dans le rouge (- 1 %) après des années de croissance ininterrompue. L'IFA de Berlin sera-t-il l'occasion de voir apparaître de nouveaux marchés ? On attend certes différentes annonces sur les tablettes tactiles. Sony devrait ainsi dévoiler les caractéristiques et le prix de sa S1, la première de ses tablettes tactiles. De même, Samsung pourrait dévoiler de nouveaux modèles, tout comme Toshiba. Mais les interrogations demeurent quant à la capacité de ces produits à concurrencer l'iPad. Même scepticisme sur la 3D, qui ne parvient toujours pas à percer. Reste l'inconnue : l'« ultrabook », ce format de PC ultra-léger et fin soutenu par Intel, et destiné à concurrencer les tablettes tactiles, dont les premiers modèles devraient être dévoilés lors du Salon. Les principales innovations pourraient en fait se faire ailleurs, sur le « soft ». Outre le développement de services Cloud - permettant de stocker à distance ses documents pour les consulter depuis l'ensemble de ses terminaux -, la surprise pourrait venir des systèmes d'exploitation. En attendant de connaître l'avenir de Web OS, le système d'exploitation d'Hewlett-Packard, qui pourrait, selon les rumeurs, être cédé à Samsung, Microsoft devrait profiter de l'IFA pour dévoiler la nouvelle version de Windows Phone 7, baptisée Mango. Google has added voice commands to its desktop Web search tool for some international users, we’ve learned. This information is thanks to a tipster in Australia, who sent us a screen shot (seen above). We also have confirmation from a Google Chrome user in Germany who has been testing it out. U.S.-based Google Chrome users have been able to conduct voice searches for some time, perhaps since May, but we have not been able to confirm that the feature is available to all international users at this time. Rather than type out a search query, with With Google’s voice search you’re now free to speak it, if your computer detects you have a microphone. This can be especially helpful for long strings of words, or when you don’t know the exact spelling of a word. If the feature isn’t enabled for you by default in Chrome, you can get the extension in the Chrome Web Store if you’re eager to try voice search out for yourself. Last week we reported that Google added voice search to Google Maps and after testing audio recognition with w 1-800-GOOG-411, which was killed in October of 2010, it would seem that voice-based search is a natural evolution for the world’s most popular search engine. And it could be that while GOOG411 the product was axed, this is how the underlying technology lives on. Google first announced it was testing voice search on its blog in July. We’ve checked pretty extensively, and haven’t found much chatter about Google internationalizing voice search yet. If you’re outside the U.S., and you’re able to use it, let us know where you are by adding your thoughts to the comments sections. Objectif fisheye Pixeet : le test en vidéo ! Un objectif fisheye couvrant un champ de 180° ça n'a rien d'exceptionnel. Pour un téléphone c'est déjà un peu plus rare. Et si on ajoute une application bien ficelée avec un service efficace derrière, ça devient vraiment original. Et bien c'est ce que propose la société française Pixeet, avec en toile de fond un pari de taille : permettre la réalisation de vues panoramiques sphériques avec seulement quatre photos ! Gadget ou véritable outil de création ? Nous vous expliquons tout en vidéo, ici avec la version iPhone 4 du kit, la seule disponible à l'heure actuelle ! Mise à jour : Entre le tournage de cette vidéo et cette publication, il ne s'est pas écoulé beaucoup de temps. Mais Pixeet a tout de même trouvé le moyen de sortir une mise à jour importante de son application, passant ainsi en version 2.02. Ci-dessous et en image les principaux changements apportés. Nous confirmons également le prix, de 49,90 € (+ 6 € de frais de port) pour l'objectif et sa coque achetés depuis le site de Pixeet, avec un compte gratuit (limité à 50 panoramiques par mois). Et nous apportons enfin deux précisions sur des fonctionnalités qui étaient déjà présentes avant la mise à jour mais que nous n'avons pas abordé dans la vidéo, l'ajout de liens inter-panoramiques et le partage. Voici la liste des modifications apportées. La version anglaise de la release note est un peu plus précise. On apprend notamment que "l'amélioration de la prise de vue" porte en fait sur la vitesse de capture. Ajoutons une modification de taille qui n'est étrangement pas mentionnée : la compatibilité multitâche de l'application. Et voici quelques exemples de panoramiques ci-dessous, avec liens et logo Clubic. Notez que la personnalisation du logo est possible uniquement avec un compte pro, offre qui sera proposée prochainement à 20 € / mois (ou 200 € / an). Elle ajoute également l'upload illimité sur les serveurs de Pixeet, le droit à une utilisation commerciale, l'accès aux panoramiques en HD (4 096 x 2 048 pixels) et les mises à jour matérielles gratuites (coque iPhone 5 par exemple). Mais un compte gratuit suffit amplement pour un usage grand public ! Pano sphérique de qualité en 4 photos ! 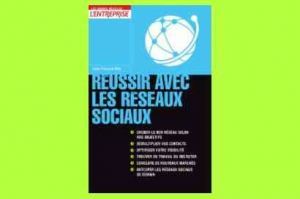 Qui sont les derniers concurrents de Facebook ? Quel avenir pour les Nabaztag ? Comment fonctionne Google Merchant Center ? Des puces à capacités cognitives chez IBM ?